I don't know about you, but I am a sucker for gadgets that help make my life a bit easier. I'm a busy woman and I admit, I love convenience. I received a neat item called the CardNinja Smartphone Wallet. I have heard about it before and was curious to see it in action. I was so happy to get one in magenta. Isn't it pretty? 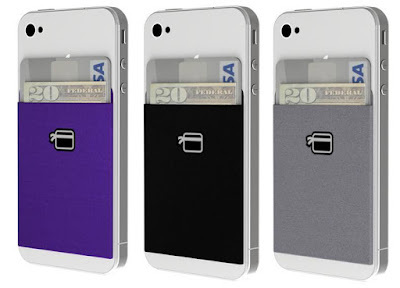 The CardNinja comes in 6 colors: black, steel, eggplant, gold, blue raspberry & magenta. So what exactly do you do with this thing? This sleek smartphone wallet has an adhesive back designed to stick to most phone cases. All you have to do is peel the paper backing off, position it on your case, cover or phone back itself, and you are ready to use it. You can store your license or ID card, credit/debit cards, cash, earbuds or a single key with ease. 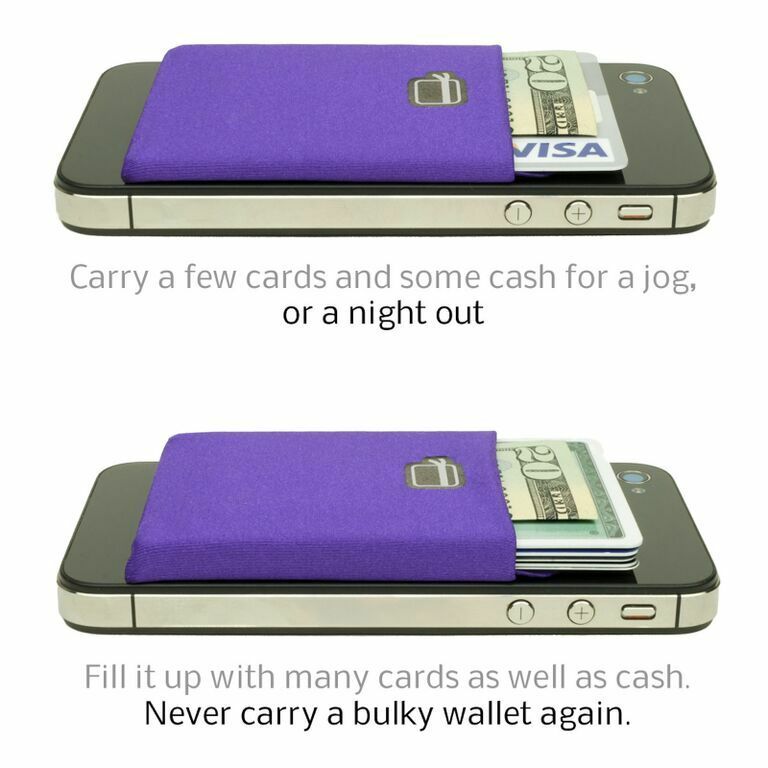 This means not having to carry a wallet or purse when it's not convenient. This is the perfect item for me to take to my son's school on days that I volunteer. I usually take my license out of my wallet and put it with my phone in my pocket. This always had me so paranoid because I once dropped my license on the floor and a teacher handed it to me. With the CardNinja, I can easily keep my license in the pouch along with my car key and feel confident about not losing anything. 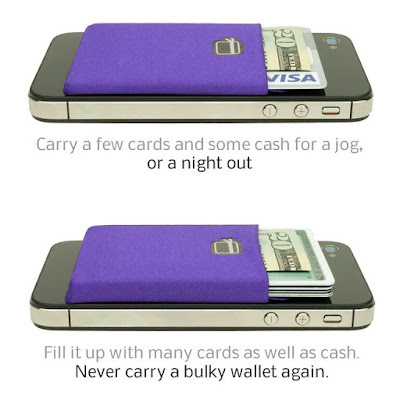 You can purchase the CardNinja Smartphone Wallet on their website currently for $9.99 (reg $12.99) or at select retailers including CVS and Walmart. 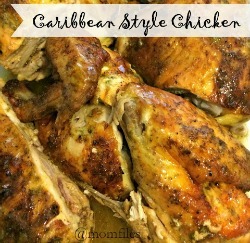 I think this is a perfect back-to-school gift for high school seniors and college students. It's also perfect for moms or dads who are always on-the-go, and would be a good teacher gift or stocking stuffer for the holidays. I love my CardNinja and I know I will get a lot of use out of it. Find CardNinja on the web, Facebook and Twitter. I received a sample product for review purposes and all opinions are 100% mine as always.